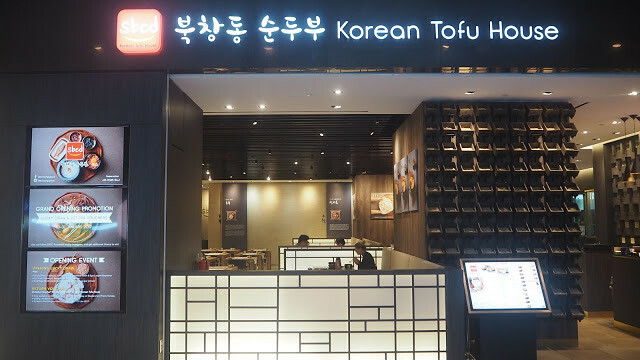 SBCD Korean Tofu House has opened in Tanjong Pagar Centre, the newest tallest building in Singapore that is situated directly above Tanjong Pagar MRT station. SBCD Korean Tofu House specializes in a variety of Korean soft tofu soup, where the “soon” in “soontofu” means soft. 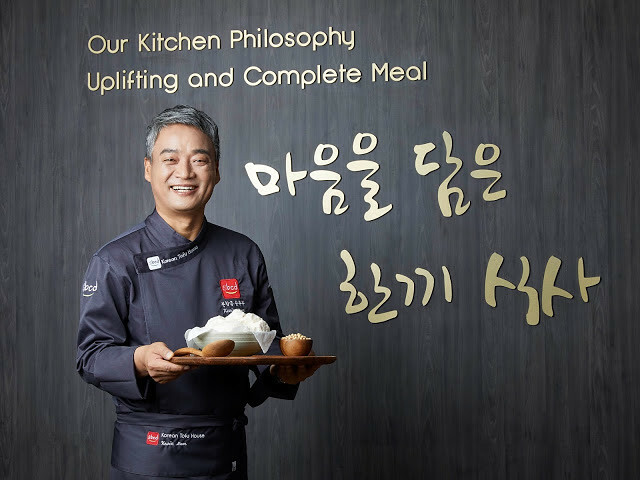 It upholds the kitchen philosophy of serving uplifting and complete meals, and every soontofu dish is created with soft and silken tofu that is hand-made fresh daily, and prepared in 4 different levels of spiciness for the broth – mild, medium, spicy and crazy hot. SBCD Korean Tofu House Interior. 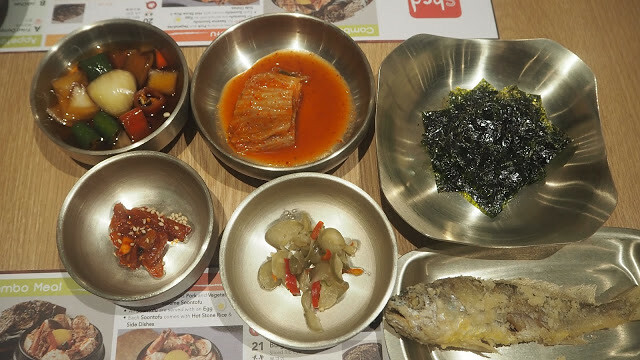 The side dishes (banchan) such as the kimchi, seaweed, pickled green chilies and spicy squid strips, which come with every meal, are also packed with flavour and wholesomeness. 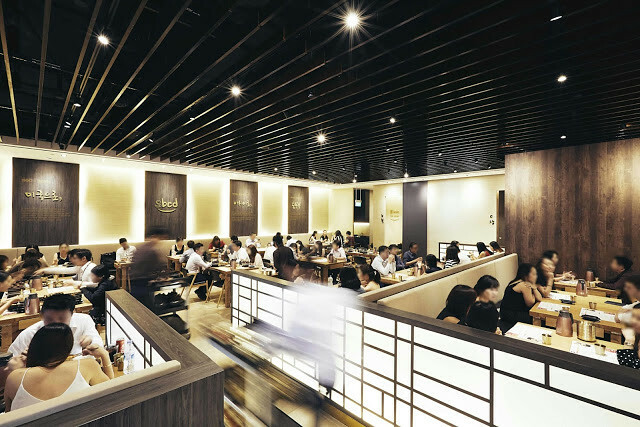 Unlike most other Korean restaurants, one of the unique offerings of SBCD Korean Tofu House lies in the banchan that includes a whole fried croaker fish prepared to tender perfection. Another unique practice in SBCD Korean Tofu House that is uncommon in Singapore is the way the rice is served with every meal. 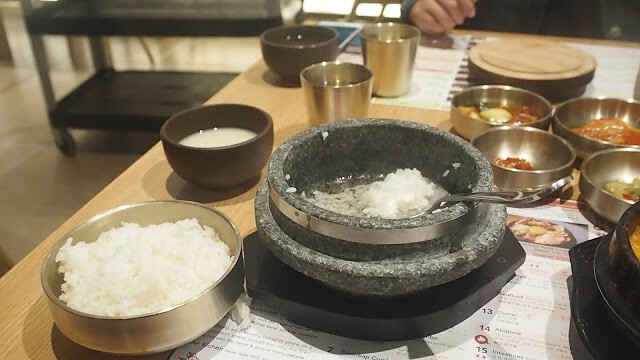 Each bowl of rice is served in a hot stone bowl, and scooped out into a metal bowl. A think crust of scorched rice, called nurungji, will remain in the hot stone bowl and corn tea will be added into the mixture and covered to retain the heat and to further cook the leftover rice. 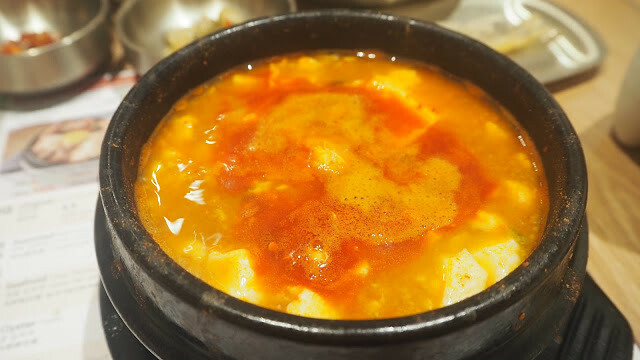 After the meal, the diner can enjoy a bowl of nurungji bap, which is a rice porridge dish that is not only nutritious, but also aids with digestion as it concludes the meal. Soft tofu, made with mature white soybeans that are boiled, curdled and pressed, is popular amongst the health-conscious for being low in cholesterol and carb content, while being a good source of protein and calcium. Each soontofu soup is served with an egg and individually prepared in a rich, savoury broth along with generous portions of a variety of meat. 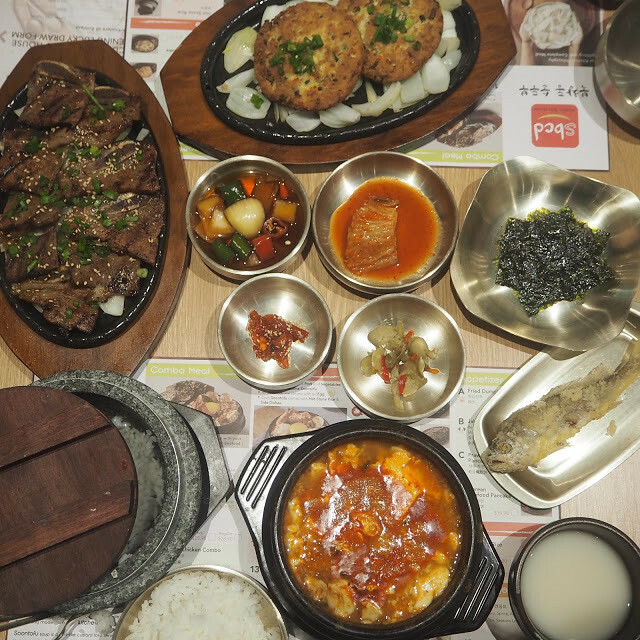 At SBCD Korean Tofu House, a hearty and complete meal is served with the comforting taste of a homemade dish to keep one’s body and soul nourished in a typically busy day at work. What in it? 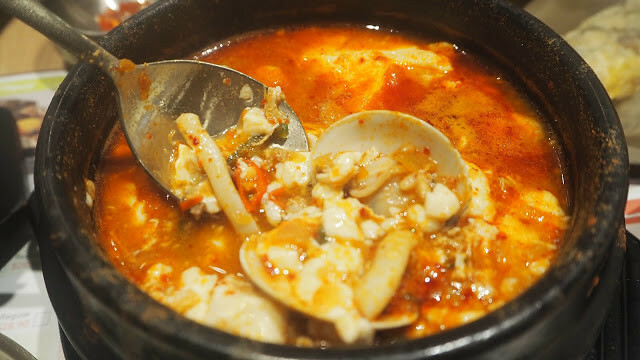 Clams, mushroom, prawns, squid, TOFU, chili padi and the spicy broth. This is by far the best tofu stew that I had ever tried in Singapore! The tofu was very smooth and fragrance. The tofu is home-made daily, so be sure that they are super fresh and good quality everyday! 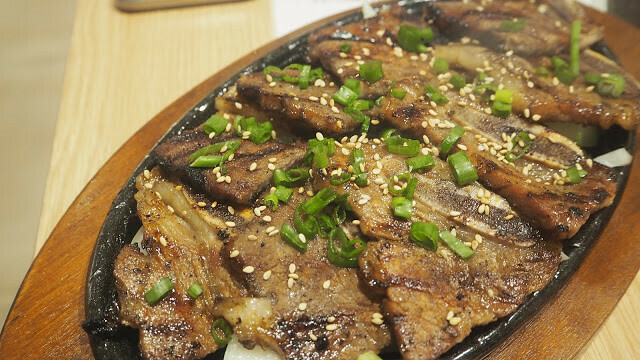 The special dish that you will hardly find it at other Korean restaurant. 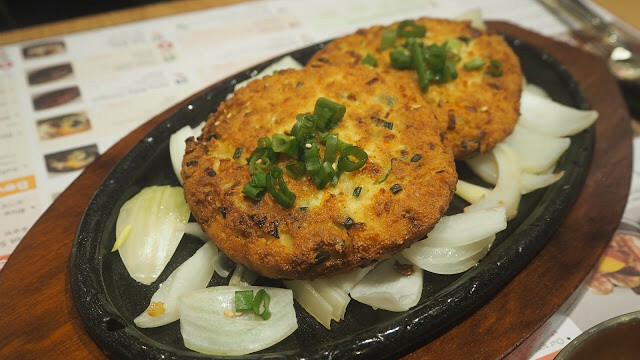 They mixed tofu and prawn together and make it into a pancake! The pancake was crispy and fragrance. Never thought that the tofu can be so yummy! 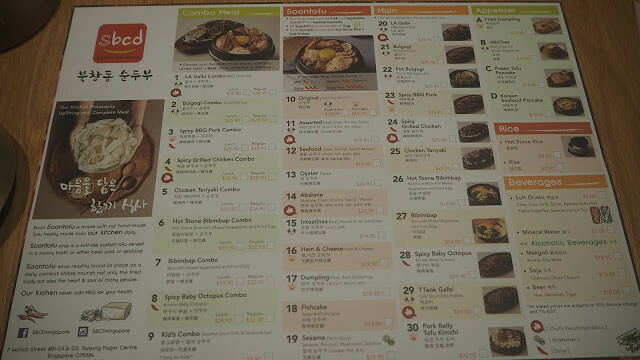 I enjoyed my dining experience at SBCD Korean Tofu House. The food quality is good. If you are a spicy lover, I would recommend you to go for the max level of spiciness! The tofu stew is the must order dish! I will definitely back for more.